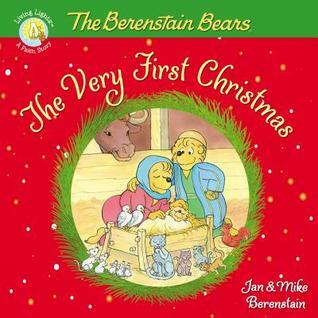 Today I am reviewing The Berenstain Bears: The Very First Christmas, a Living Lights faith-based story, by Jan & Mike Berenstain. Join the Bear cubs as they learn all about Jesus’ holy birth. From the angel Gabriel’s announcement to Mary to the visit from the three wise men, join Mama, Papa, Brother, Sister, and Honey as they discover the story of the very first Christmas. My family was delighted to discover that the Berenstain Bear stories are a way of introducing – and encouraging – good character qualities. And in today’s world, good character qualities are unfortunately not the norm. As a Christian family, we have a special appreciation for the Christian faith-based stories in the Living Lights series. The Very First Christmas shares how God sent an angel to Mary, to give her the wonderful news that she had been chosen to be the mother of Jesus! Most of us have already read the story of Jesus’ birth. Jan and Mike Berenstain use their wonderful Berenstain Bears to tell the story again – to their dear, little readers. It will be a great addition to your family library. Be sure to pick up a copy soon for your family . . . and get a few extra copies to give as gifts. This book will most definitely be a blessing to children (and parents) everywhere! Join the Bear cubs as they learn all about Jesus’ holy birth in The Very First Christmas – Tweet this! 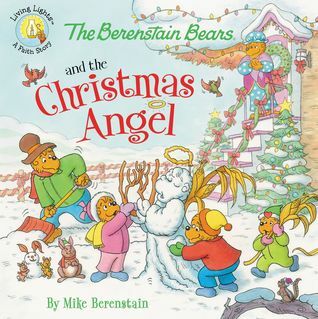 Today I am reviewing The Berenstain Bears and the Christmas Angel, a Living Lights faith-based story, by Mike Berenstain. It is almost Christmas and there is finally snow in Bear Country. Brother, Sister, and Honey Bear are ready for some winter fun! But when they can’t decide what kind of snowbear to build, Honey Bear’s snow angel gives the older cubs a great idea. Soon the cubs have built a Christmas snow angel. Later, as they warm up with some hot cocoa, Mama and Papa give the cubs a little lesson about some very special angels and the work they do for God. Don’t miss the newest Living Lights faith story about a Christmas Angel — by Mike Berenstain – Tweet this! My family was thrilled to discover a new Christmas story to add to the other stories we have. Living Lights Berenstain Bear books are a way of introducing – and encouraging – good character qualities. And in today’s world, good character qualities are unfortunately not the norm. As a Christian family, we have a special appreciation for Christian faith-based stories in the Living Lights series. The Berenstain Bears and the Christmas Angel shares how God sent an angel to Mary, to give her the wonderful news that she had been chosen to be the mother of Jesus! He also sent angels to spread the good news to the shepherd in the fields — and to Joseph to warn him to flee to Egypt with Mary and Baby Jesus. The story imparts some great news . . . that angels are sent to us to share good news, warn us of bad things coming, and for guidance and protection. It will be a great addition to your family library. Be sure to pick up a copy soon for your family . . . and get a few extra copies to give as Christmas gifts. Join the Bear cubs as they learn about angels in The Berenstain Bears and the Christmas Angel – Tweet this! Today I am reviewing The Most Wonderful Time of the Year: A Countdown to Christmas, by Mike Berenstain. For Christians worldwide, the month of December is filled with joy and wonder as we anticipate the celebration of Christ’s birth. There is no other time of the year that can compare to the Christmas season for both the young and young at heart. From December to New Year’s Eve, reawaken the wonder, joy, and magic that is Christmas with daily scripture and inspirational readings of stories behind popular Christmas traditions, carols and movies. Enjoy a wealth of fun activities to help make the most of the season, including heartwarming holiday recipes and homemade gift ideas. The Most Wonderful Time of the Year — by Ace Collins – Tweet this! For my family, this is truly The Most Wonderful Time of the Year! Mr. Collins’ book will make a great Christmas gift to a friend or family member. It has songs, devotions, scriptures, Christmas traditions, crafts, recipes and more activities to last you year after year. As a Christian family, we have a special appreciation for Christian faith-based stories — and The Most Wonderful Time of the Year doesn’t disappoint. 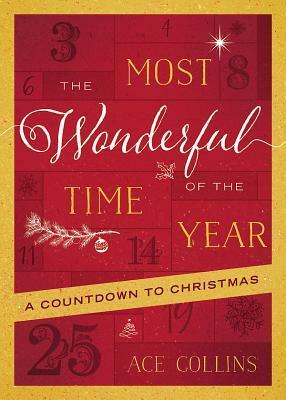 Make this upcoming Christmas holiday a Christ-filled season of joy and wonder with the help of Ace Collins’ new devotional, The Most Wonderful Time of the Year. From December to New Year’s Eve, reawaken the Christmas season with daily scripture and inspirational readings of stories behind popular Christmas traditions, carols and movies. Enjoy a wealth of fun activities to help make the most of the season, including heartwarming holiday recipes and homemade gift ideas. You can download a free sampler of The Most Wonderful Time of the Year by clicking here. Today I am reviewing The Berenstain Bears Bedtime Devotional, a Living Lights faith-based story, by Mike Berenstain. Bear Country friends will be featured throughout in simple artwork from the Living Lights brand..
Don’t miss the newest Living Lights Bedtime Devotional — by Mike Berenstain – Tweet this! My grandchildren were delighted to view the new Berenstain Bears Bedtime Devotional . . . it’s the perfect addition to our family library — and a perfect choice for my granddaughter to read from each evening before she hops into bed (like brother and sister bear). 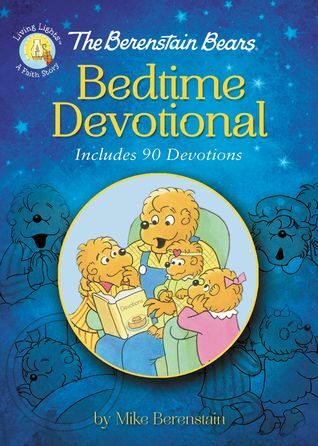 The Berenstain Bears Bedtime Devotional shares many wonderful bedtime devotionals — 90 to be exact — enough for an entire season. We’ll be starting it for the winter season and we’re looking forward to our evening devotions, especially my granddaughter, who loves to read. This is a great addition to your family library. Be sure to pick up a copy soon for your family . . . and get a few extra copies to give as Christmas gifts.